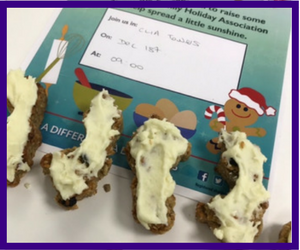 December got off to a fabulously festive start with the CLIA Christmas Bake Sail! The cake captains rallied their office together and lay on a fantastic spread of baked goodies. Have a look below to see what treats people have whisked up! CLIA’s, Andy Harmer got out the baking gloves and took to Twitter … let’s just say he received a mixed response! Price up your tasty treats and get selling! If you would like to request a fundraising pack to use at your bake sale, simply email Izzy.